NavixyBusiness insights3G GPS tracking business era is near at hand. 2G became a thing of the past. Or not? 3G GPS tracking business era is near at hand. 2G became a thing of the past. Or not? The global process of 2G networks shutdown has been already started. By the end of 2016 mobile operators from Australia, the USA and Canada are going to turn off their 2nd generation base stations. More countries will follow their example in 2017 and 2018. At an early date it will affect the whole World of mobile communication. As for M2M market, millions of M2M devices need to be replaced or upgraded. Are GPS tracking businesses prepared for 2G-to-3G migration challenge and what the prospect is? The reason mobile network carries are refarming the spectrum for more efficient 3G/4G services has double-sided success. First side is for customers. 3G+ networks have the greater speeds, coverage and reliability. Another success side is for business – wireless service providers. 2G shutdown enhances the network resulting in lower operating costs, fewer networks to support, and frees up spectrum for faster and more lucrative services. AT&T wireless customers using 2G network will need to upgrade their devices as they will be unable to make or receive calls, including emergency calls, send or receive text messages, or use data services after 12/31/2016. From 1 April 2017, the 2G network across all telcos in Singapore will gradually be closed. The fact of life is the success sides have its costs. Upgrade equipment costs apply to all: mobile network carriers, M2M network providers and customers. All of them have to pay for the progress. Mobile operators understand how the conversion could be painful and stretch the term making advertisements and information campaigns. 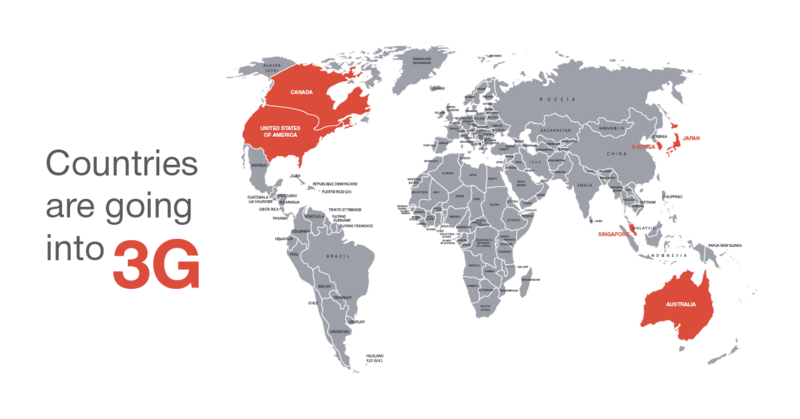 Countries where the transition has already started, the people are being informed ahead of time. They are mentally prepared for the expenses. It helps M2M business. Of course, there is a competition between mobile carriers. For example, T-Mobile has decided to pick up the AT&T M2M customers after the 2G shutdown. The company has promised to extend the 2G life through 2020. Anyway, sooner or later the transition to “next G” will make the business and customers to change the equipment. Video streaming. For years image capturing was used in some fleet tracking applications, such as taxi or passenger transportation. Cameras shoot passengers and upload images to GPS tracking server – by schedule or when some event occur, e.g. door open. However, 2G was not able to offer enough throughput even for high resolution images. New generation networks open a possibility to send video recordings or even real time video. Device firmware upgrade. 2G downloads a new firmware about 5 minutes. 3G will speed up the update and shorten the process in times. For GPS tracking service providers the risk depends much on their business model. If the monthly fee of the offered service generates the large part of the company’s income, the threat of 2G shutdown is essential. Such companies build the subscriber base over the years. They attract customers spending a lot of money on advertising. The profit from the equipment sales and its installation is often minimal. Furthermore, talking about the equipment installation on hundreds and thousands of cars, the time costs are high. Because of the extra cost on chipset and Qualcomm royalty, the price of 3G products will be 20% more than 2G products. 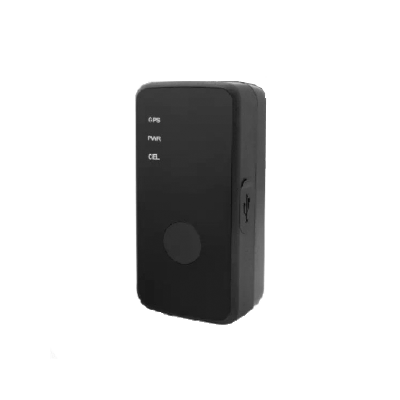 3G GPS trackers are normally more expensive than 2G, but it really depends on the quality of the device as well as the cellular chip that is being used. It is possible for a poorly designed 3G device with cheap components to cost less than a well designed 2G device with high-end components, so users really need to consider what they care more about. Yes, the 2G version are cheaper than 3G version. The 3G devices BOM cost is higher than the 2G. The price is approximately 25~35% more expensive than the 2G devices. There is no extra benefit from 3G for GPS monitoring, because the data usage of tracking is limited , there is no need for high speed transmitting. The reason that customer wants to switch to 3G is mainly because some network operators stop supporting 2G. 3G devices are definitely better options for today’s businesses, especially in countries where there is a foreseeable timeframe as to when the local 2G network will become obsolete. It saves significant labor and logistics expenses in the long run since deploying 3G devices now means less 2G devices to replace when the time comes. Installing 3G devices now also means both GPS telematics services will not be interrupted in the future when 2G network becomes unavailable, and revenue-generating corporate assets will not need to be called back off the road for putting in a new tracking device. I believe that 3G is becoming necessity for the current M2M world. It is not because we require a lot of data it is only because all around the world all the telco operators are trying to minimize the use of 2G towers and the connectivity is become more and more difficult with 2G. While in 3G space it is still a long way to go and we do have good connectivity and faster transfer of data which is a plus. As it can be utilized to send large data such as CANBus and Video streaming. 3G Asset GPS tracker that needs professional installation. 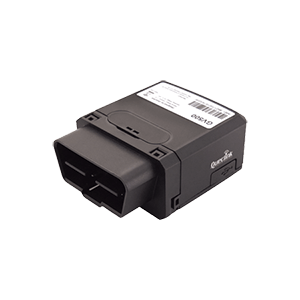 It monitors cargos and vehicle location, transfer telemetry data via UMTS/HSPA/CDMA network. Waterproof body IP67. It has 3 inputs and supported 1-Wire interface. 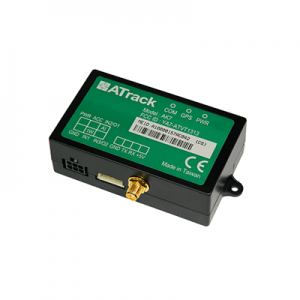 Vehicle GPS tracker that supports 3G networks. High accuracy GPS positioning and telemetry data transferring. Driver behaviour support, RFID and the possibility of connecting the temperature sensor. 3G OBD2 tracker. Simply plug the ready-to-go device into the vehicle diagnostic port to get the onboard data: DTC errors, fuel level, mileage etc. Personal 3G GPS tracker. Small thumb sized water resistant device. Field employees monitoring, pet tracking or it can be put inside the car or cargo. 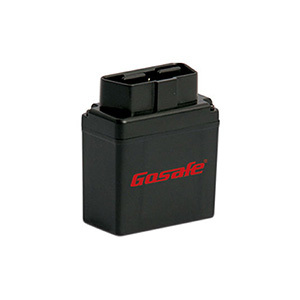 It has Internal 3-axis accelerometer for power saving and motion detection. 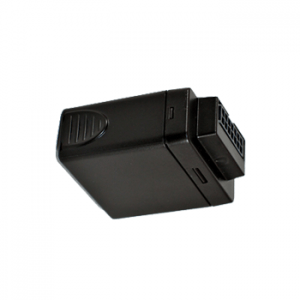 Another 3G vehicle GPS device which plugs into a vehicle’s OBD2 port. Its internal OBD reader can obtain information from the vehicle’s on-board computer and bring the data to the PC or smartphone. Furthermore, you can see the exact location of the vehicle, draw geofences on the map and control the deviations. 3G asset GPS device. It can be professionally installed on the vehicle or put inside as a detached device. Large battery capacity (6600 mAh) allows to leave the tracker without charging. 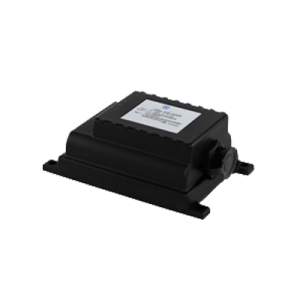 It is IP66 rated for outdoor use. 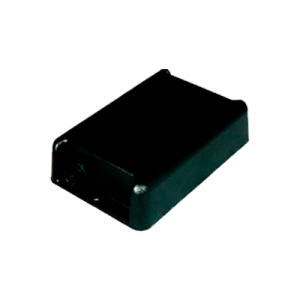 Small and simple 3G vehicle GPS tracker. It can fit in the palm of your hand. So, it is easy to hide it carefully under the vehicle panel, for example. It has internal antenna or you can optional connect an external one. Just 2 inputs provided. All the GPS trackers can be automatically connected to Navixy. There is no need to write ports and gateways. As we can see, in most cases GPS tracking business buys 3G devices just because the mobile operator is cancelling 2G networks. That is it. It has nothing to do with their need for high speed. 2G is enough for GPS tracking and getting telemetry data. If GPS tracking service fees are a significant part of your income, the time before 2G shutdown must be used with maximum efficiency. Start prepare the business as soon as possible. If you have 4-5 years or more prior to the transition. Offer the customers not only 2G devices but 3G ones as well. 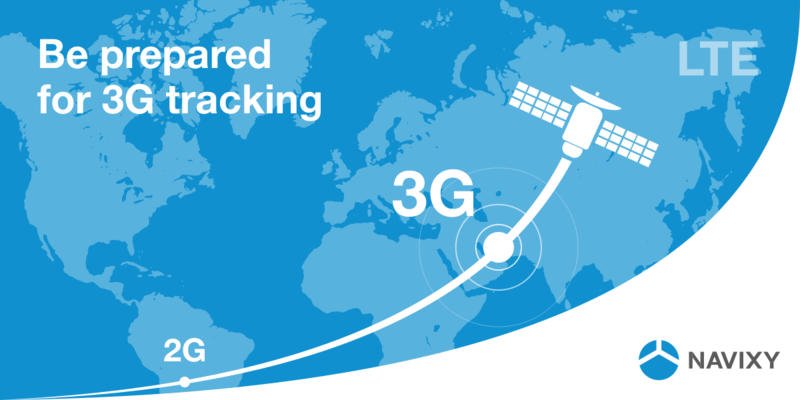 If your supplier is not ready to offer 3G devices, look for manufacturers who have already offered 2G trackers. Likely their products have the advantages in other technological aspects. You have time for negotiations and testing. Tell your customers that 3G devices price is not so high. It is not much more expensive than 2G trackers. If the customers buy the “next G” devices now, they will be prepared for the transition. There will have no need to purchase and install new equipment in just a couple of years. Show the benefits of 3G such as connection reliability due to 3G network coverage increasing and the lack of 2G networks development. Suchwise, you and your customers will get rid of unnecessary costs in the future and eliminate the risk of losing the subscriber base. Just 2-3 years left. Stop selling 2G GPS trackers and start change the old сustomer’s devices to the “next G” ones. Due to the large 3G device purchase, you can get additional discount from suppliers. If your current supplier is not ready for 3G, find another one and test its equipment. Inform the old customers of the new 3G devices assortment. Show the devices advantages over existing 2G GPS-trackers. “G” is not the only benefit, tell about the functions. Offer special promotions on equipment exchange. For example, it may be a free new device installation or exchange discounts. Of course you have to pay for this, it keeps your customer base, you will not face a heavy workload during 2G shutdown. Consider plan B to extend the transitional period. If your mobile operator wants to be one of the first who canceling 2G, sign a contract with another mobile network carrier. After the shutdown it will be enough to replace the SIM-card and gain some time. Only few month ahead. Do your best to move your customers to 3G. Create a special team of managers and installers, who will work with existing customers to replace their equipment. Make the equipment exchange program according to the degree of the customers loyalty and their importance to your business. Decide how much you can pay for the customers transition. Take a sufficient number of SIM cards from the mobile operator who are going to provide 2G service for some time. This is for the customers who will decide to change the equipment at the eleventh hour. Purchase an ample supply of 3G equipment. Not only your customers may be needed the devices but the competitor’s as well. Do not miss a chance to lure them away. During the 2G shutdown preparations you must be sure your platform supports the necessary devices. Navixy pays very close attention to it and supports hundreds of GPS devices, adding new models every week. Software developer should be always loyal to your requests to support new devices and quickly respond when the device manufacturer updates the communication protocol. And of course, you should be able to get effective technical support.